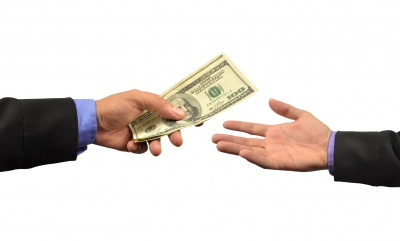 Should you or should you not loan money to employees? It depends on the situation of course, and it is never one-size-fits-all. However, a good solution is to offer your employees the chance to open an account in your company-sponsored 401(k) plan. It is possible for him or her to take money out of the account if the plan allows loans, and it won’t be considered a business transaction. This way, you won’t be a lender, but you can still help out your employee. The employee is allowed to borrow half of his or her account balance, at a maximum of $50,000, which must be paid back within five years. If you and your employee decide to move forward, keep in mind that the plan must charge a reasonable interest rate. Also, repayment must be made in consistent payments over the course of five years–unless the loan is going towards the purchase of a home. Before going ahead with the loan, the employer should always sign a promissory note stating the terms of repayment, decided upon by both parties. These terms should include the frequency of the repayment, what to do in the case of a default, and the interest rate. If the loan is not personal, remember to record it in your books so that it won’t be treated as income. For tax purposes, reference the below-market loan rules. Thinking of entering into a loan? It is a good idea to read up on the current AFRs issued monthly by the IRS.